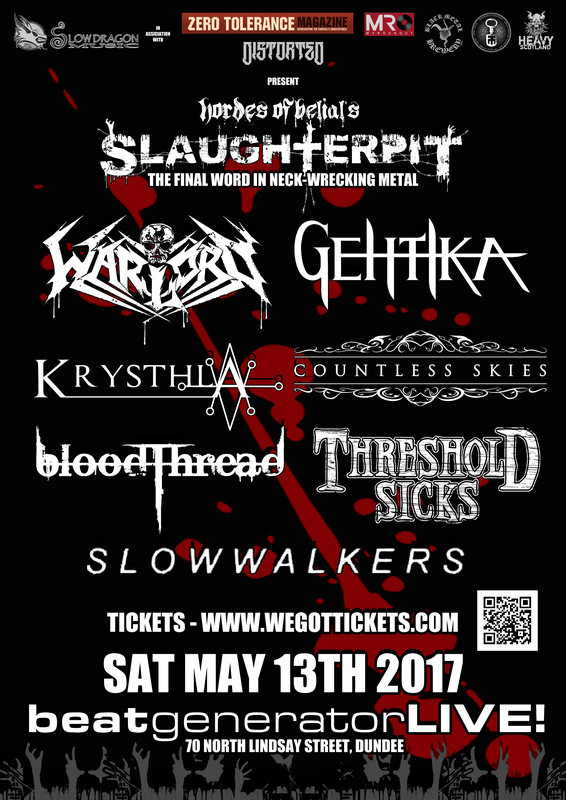 Due to unfortunate circumstances, Aghast will be unable to perform at Slaughterpit 2017 as previously stated. 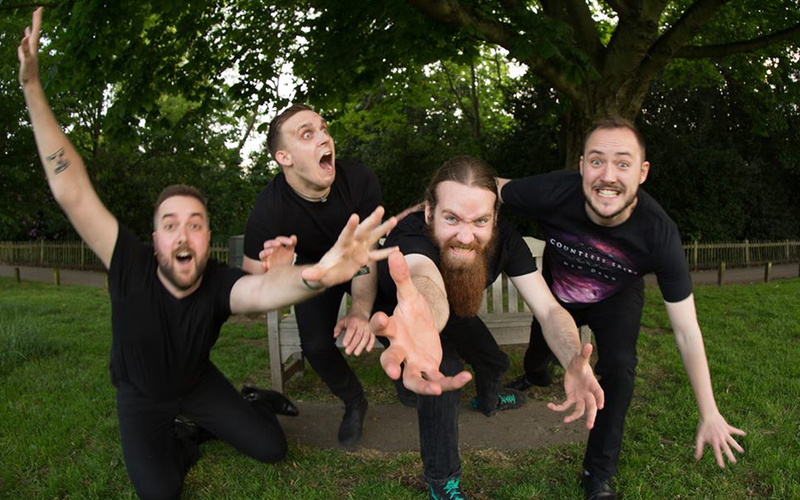 However, a rapid fire, and rather tasty replacement has been found in Hertfordshire based melodic death metallers, Countless Skies. When an outfit like this is described by Zero Tolerance as “a band of stature, worth, and class“, you have to expect something special. With thick, soaring musical backdrops, and grit-dried vocals, they don’t disappoint. Landing like a more sweeping, and more aggressive, almost blackened In Flames, their mid-2016 opus New Dawn received a warm welcome, described as an “often compelling listen, oozing energy” (Angry Metal Guy) , “a stunning first impression” (The Metal Observer), and “an effortless display of bravado and musicianship” (New Noise Magazine). Posted in Latest News and tagged Blood Thread, Countless Skies, Gehtika, Slaughterpit, Slow Walkers, Threshold Sicks, Warlord UK.